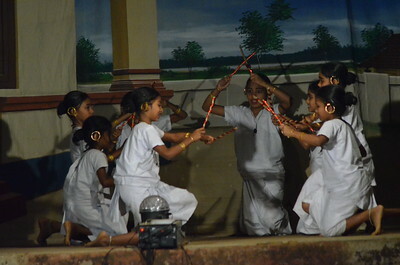 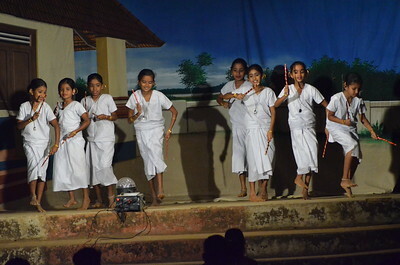 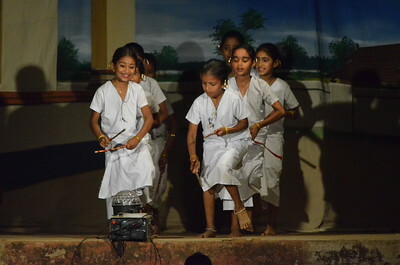 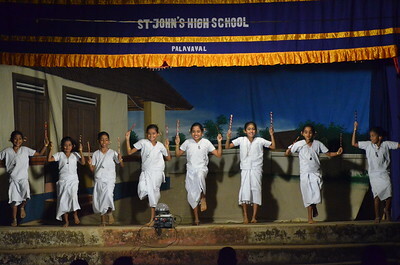 Kolkali is a folk art performed in North Malabar region of Kerala State in south India. 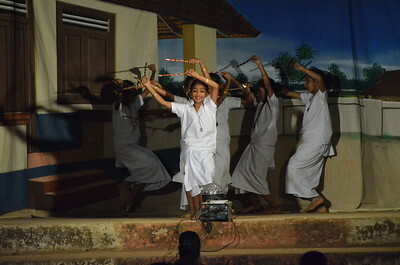 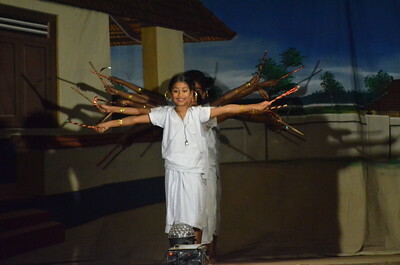 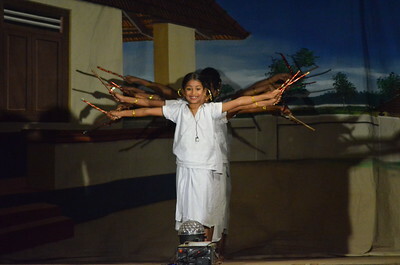 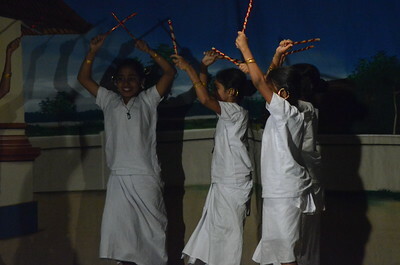 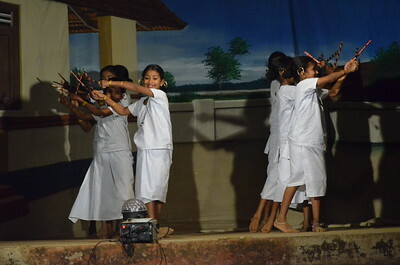 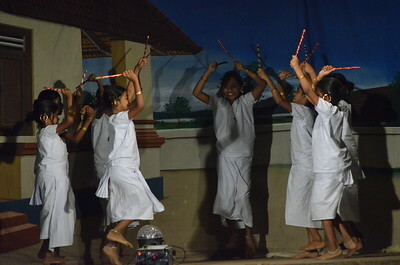 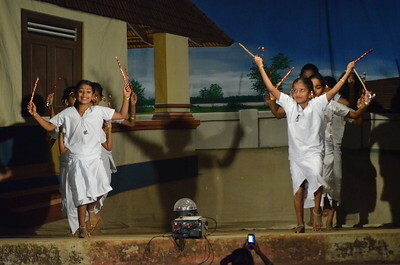 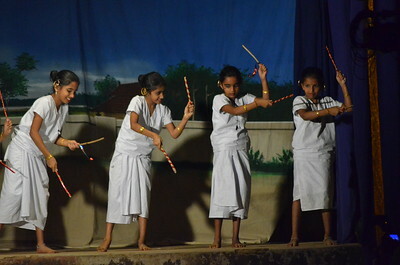 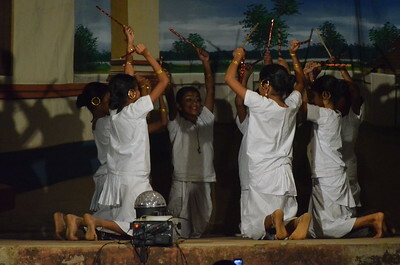 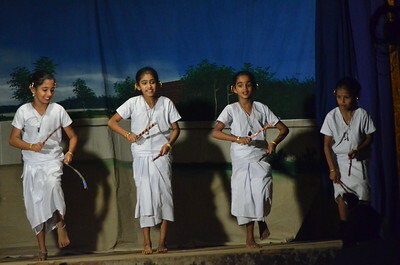 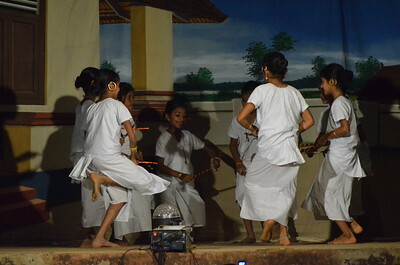 The dance performers move in a circle, striking small sticks and keeping rhythm with special steps. 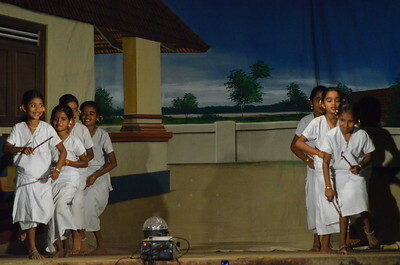 The circle expands and contracts as the dance progress. 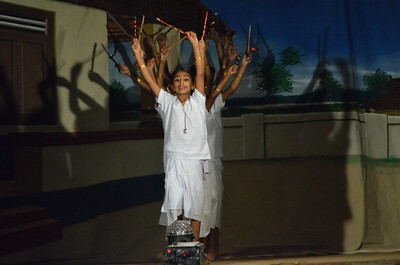 The accompanying music gradually rises in pitch and the dance reaches its climax. 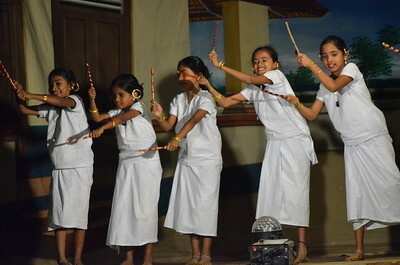 Many of the traditional performing art forms of Kerala like Kathakali, Velakali, Poorakkali and Thacholikali; Kolkali, also have drawn elements from Kalarippayatt during their stages of evolution. 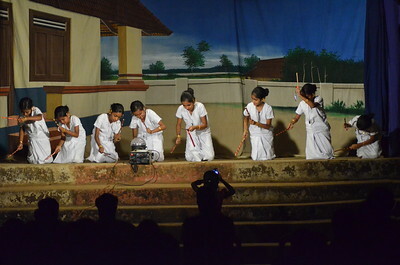 Kathakali has borrowed much from Kalarippayattu in its basic body preparative training of the actor not only in terms of technique in practice but also from the body massage for the trainee. 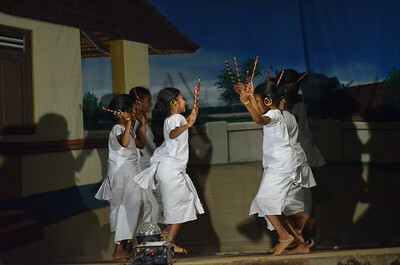 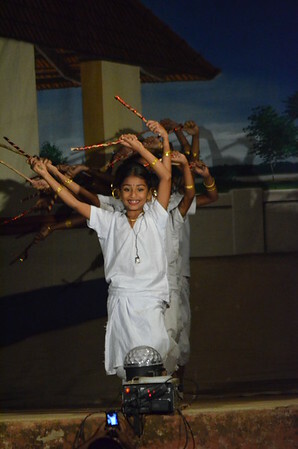 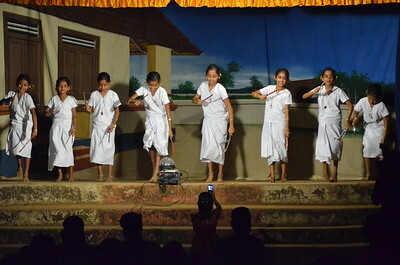 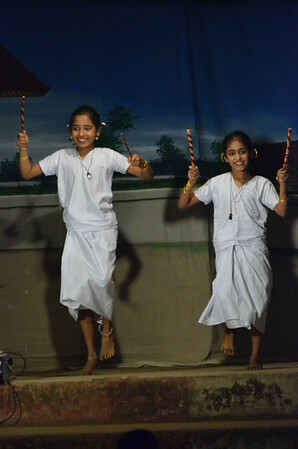 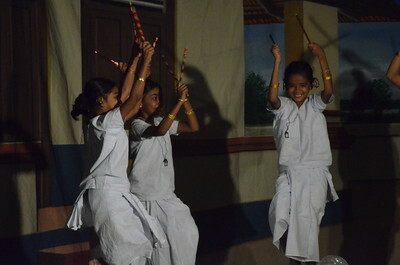 Many of the body postures, choreography and foot work of the Kolkali characters are taken directly from Kalarippayattu. 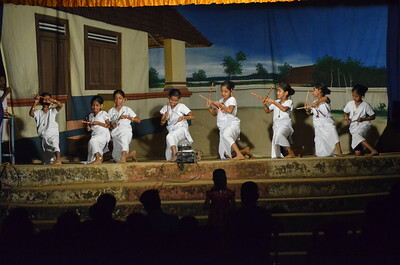 The origin of the art can be ancient "Kalarippayattu" a martial art of Kerala. 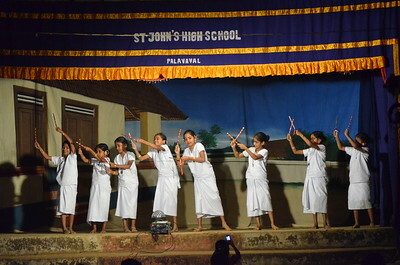 The art has found a revival among the Syrian Christian communities of Kerala in the last few years, and the performance by trained artists is encouraged in the Christian feasts and celebrations.